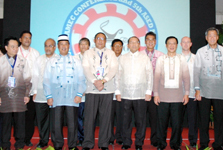 The SEAMEO Council (SEAMEC) Conference is the annual meeting of the Council of the Southeast Asian Ministers of Education Organization consisting of education ministers of the 11 SEAMEO Member Countries, namely, Brunei Darussalam, Cambodia, Indonesia, Lao PDR, Malaysia, Myanmar, the Philippines, Singapore, Thailand, Timor-Leste and Vietnam. The SEAMEC Conference is attended by the Ministers of Education and officials of SEAMEO Member Countries, representatives of SEAMEO Associate Member Countries, Affiliate Members, SEAMEO Centre Directors, SEAMEO Secretariat; and officials and observers from donor governments and international organisations. Brunei Darussalam will host the 46th SEAMEO Council Conference on 26-29 January 2011 at the Empire Hotel and Country Club, Bandar Seri Begawan, Brunei Darussalam. 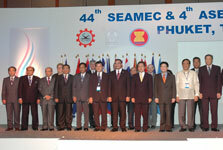 The 6th ASEAN Education Ministers Meeting will be held back-to-back with the 46th SEAMEO Council Conference.